Seth is one of our country's youngest thought leaders on the issue of abortion. A compelling and passionate voice for the unborn, Seth is reaching all generations and is helping change the way that our country thinks about and interacts with abortion. Abortion is the greatest human rights violation our world has ever seen. Agree? Disagree? Either way, it's clear that this issue is not going away and the national debate is by no means settled. Fyndout Free Pregnancy Center will be co-hosting the movie screening of Unplanned with Interior Right to Life and Arctic Students for Life . You must RSVP at https://bit.ly/2TBAAwB as soon as possible because seating is limited. Come paint with us! You'll get a professional artist tutorial and take home your own version of this painting! Not to mention that we'll have yummy hors d'oeuvres and desserts for you to munch on while painting. All proceeds go to Fyndout Free Pregnancy Center! Change for Life Baby Bottle Drive! We provide the bottles, you provide the change! Sanctity of Human Life video seminar led by Pastor Derek Dickinson of Journey Church. Closed for the Holidays! Merry Christmas & Happy New Year! Closed for the Holidays! Merry Christmas and Happy New Year! In honor of this year's #GivingTuesday, which is the Tuesday after Thanksgiving, we'd like to take a moment to say "Thank You" to all our friends and supporters. Open to all soon to be and already breast feeding mamas! Come join us for our annual Fall Banquet fundraiser! Enjoy a free meal and learn more about our center. Come get to know other mamas while the kiddos play! This event will take place at Snedden Park in Fairbanks. We will provide snacks and adult conversation! 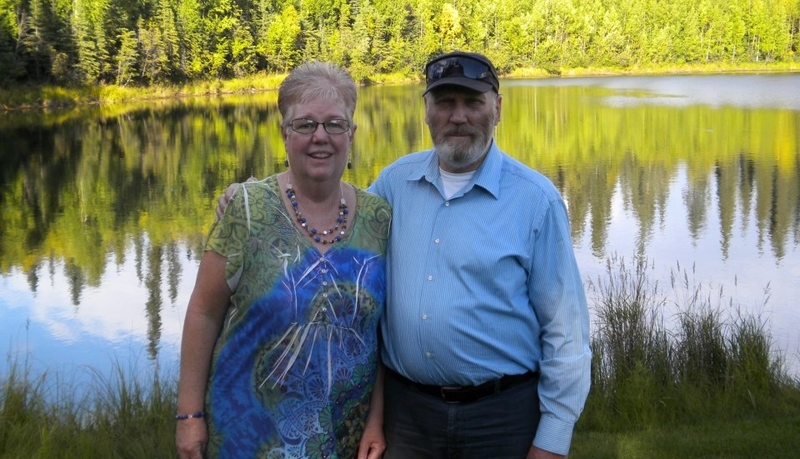 This fundraiser is hosted by the Fairbanks Visitor Industry. 100% of registration fees for this "4K graze" go toward the charity of your choosing. Search Care Net Pregnancy Center of the Tanana Valley when registering. This is the only 4K where you might actually gain weight by grazing on local cuisine as you walk through downtown Fairbanks! The walk begins at Immaculate Conception Church and ends at Morris Thompson Cultural and Visitors Center. Come get trained to be a volunteer at the Fyndout Free Pregnancy Center! This training will be held at Community Covenant Church (right down the road from the Center). Lunch and a tour of the Center are included! Join us for our annual Spring Brunch Fundraiser at the Westmark Hotel! Admission is FREE! Call us at 907-455-8255 to reserve your seat or if you’re interested in hosting/sponsoring a table. Come hear Jill Stanek share her experience as a former labor and delivery nurse, where she took a stand for life that changed the course of her life. Join us on May 12 for a chance to collect pledges for the center, get some fresh air, and sample some tasty food! Come hear Candy Gibbs and Jerry Little at our complimentary brunch. They will share a story of devastation, redemption, and restoration. 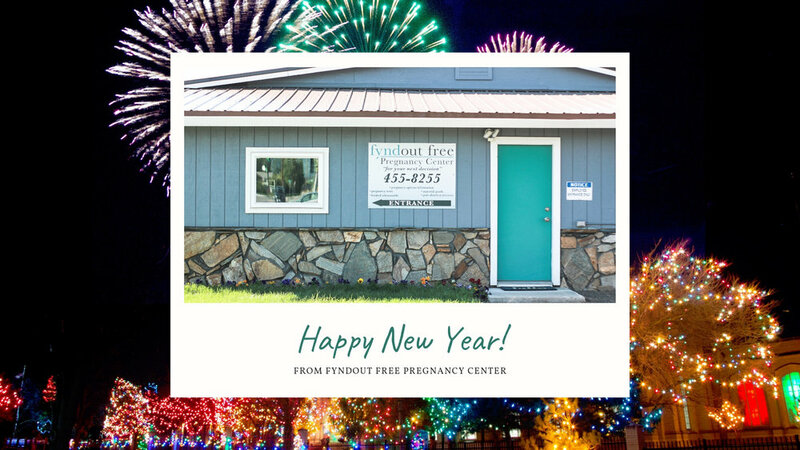 Fyndout Free Pregnancy Center will share what's been happening at the center and coming events to look forward to! Our center will be closed Friday, December 23 at noon through Monday January 2 in order for our staff and volunteers to enjoy the Christmas season. We will reopen Tuesday, January 3 at 10:00 am. Have a safe and happy Christmas Season! The office will be closed for the Christmas Holiday December 24-January 2. We will reopen on Tuesday, January 3. Please leave a message at 907-455-8255.